Half a million knee replacements are performed each year in the US. While the vast majority are very successful, there are some serious complications that can occur. Also, the implants are not meant to last forever, and it is well known that revision operations are not usually as successful as the results achieved the first time. Therefore, it is best to delay or avoid the procedure as long as possible. Here are the top 10 ways to make that happen. 1. Number one is over-the-counter medications. This would include Tylenol and or anti-inflammatory medications. I know this sounds very simple, and it is. 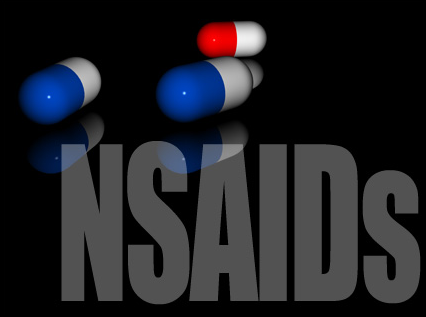 But these medications may provide exceptional relief. They should always be taking according to the manufacturer’s recommended dosing. 2. The second method involves assistive devices such as a cane or a brace. A cane may unload over 50% of the stresses from a painful knee. It may help with every day activities, or allow an individual to exercise with walking or hiking. A brace may unload the arthritic, painful side of the knee and provide excellent relief long term. 3. The third method involves pain cream medication. This may include something over-the-counter such as capsaicin, or a prescription pain cream that may include ketamine or gabapentin. These may provide excellent relief for hours on end. 4. The fourth method for avoiding a new replacement is with activity modification. If you have been a jogger for decades, it may be time to avoid that type of impact and switch to swimming or cycling. This is one example, and it may be prudent to cut back on the painful activity or start cross training. 5. Fifth method involves physical therapy and electrical stimulation. Physical therapy, muscle strengthening and stretching are offered. This may take stress off the painful area off the knee and provide exceptional relief. 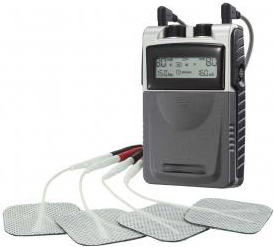 Electrical stimulation such as with a Tens unit can change the way the brain perceives pain signals. This does not involve any sort of medication and is easy to take home, as a Tens unit is only about the size of an iPod. It runs on batteries. 6. Number six involves a new treatment, which is a radiofrequency ablation of the knee. A Seattle pain management doctor may apply thermal energy to the sensory nerves around the name. This can reduce pain significantly, and help a person avoid the need for surgery. This type of pain relief can last for 6 to 12 months at a time. 7. Number seven involves cortisone injections. These have been a mainstay as a gold standard treatment for the arthritis pain for decades. The reason is they work usually for months on end, and can then be repeated. There has never been a definitive study showing steroids are damaging to one’s cartilage. 8. The number eight treatment involves Viscosupplementation. This is a term that refers to hyaluronic acid injections, that goes by the brand names of Synvisc, Orthovisc or Hyalgan. 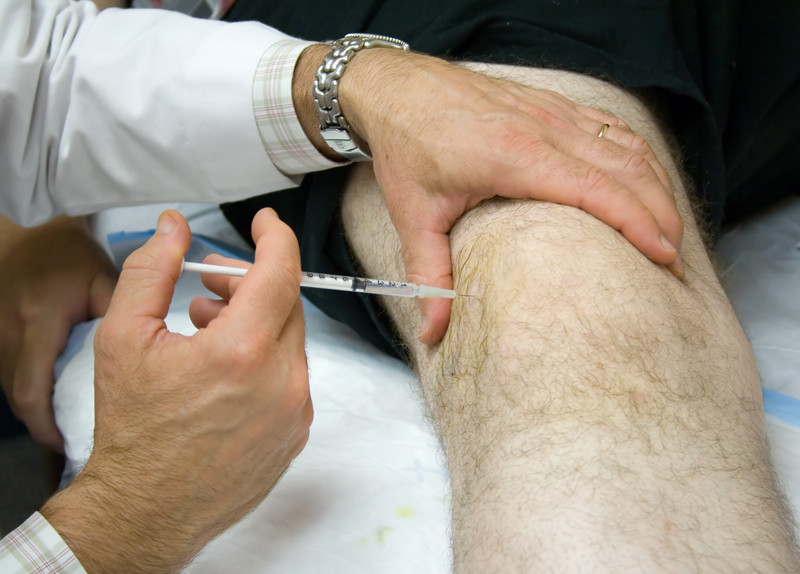 These injections are covered by insurance and help provide lubrication to the joint. In theory, you can also promote cartilage formation. Studies have shown these injections to be 80% effective for over six months. As a side note, none of the various brand names have shown superiority to the others. 9. Number nine is injections with platelet rich plasma therapy. Known as PRP therapy for short, this procedure involves a simple blood draw, and the blood is then spun down rapidly for about 15 minutes. This concentrates the platelets and growth factors, which are then injected into the arthritic knee. Results have shown over 75% good excellent results for up to a year. A lot of pain doctors in Seattle will perform several injections over a period of a few months for optimal results. It’s a very low risk procedure, with an excellent outcome by and large. 10. The number 10 option for avoiding a knee replacement is with stem cell therapy. This involves injecting stem cells and growth factors into the painful knee, either from one’s own bone marrow or fat, or from an FDA regulated amniotic fluid derived source. To date, small studies have shown exceptional outcomes with stem cell therapy. Currently, it is not covered by insurance and the stem cell therapy is an out-of-pocket cost. All in all, these 10 methods have shown excellent nonoperative results for helping patients delay or avoid the need for a knee replacement. The Seattle pain management doctors at Seattle Pain Relief offer these treatments with exceptional nonoperative results. Avoid or delay knee replacement today, call (855) WASH-PAIN!